We could not have asked for better conditions out at sea today, with absolutely no wind and a crystal blue sea. We’re still feeling the after effects of the Supermoon, so we left the harbour at around 11:30, setting our sights on the beach and then keeping shallow in search of some animals. We lucked out amongst the breakers, with this area looking a little quiet, so we decided to pay a visit to good, old Slashfin. 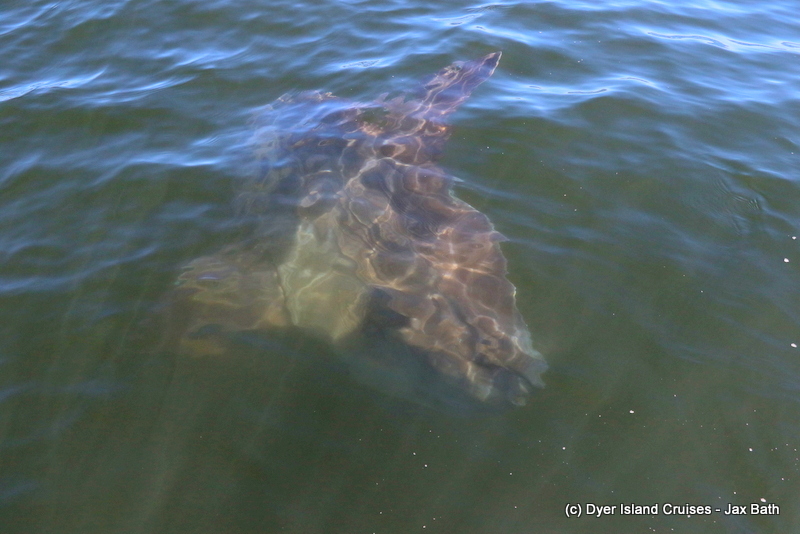 This turned out to be a great decision, with a beautiful Copper Shark coming up 2 or three times during our stop. 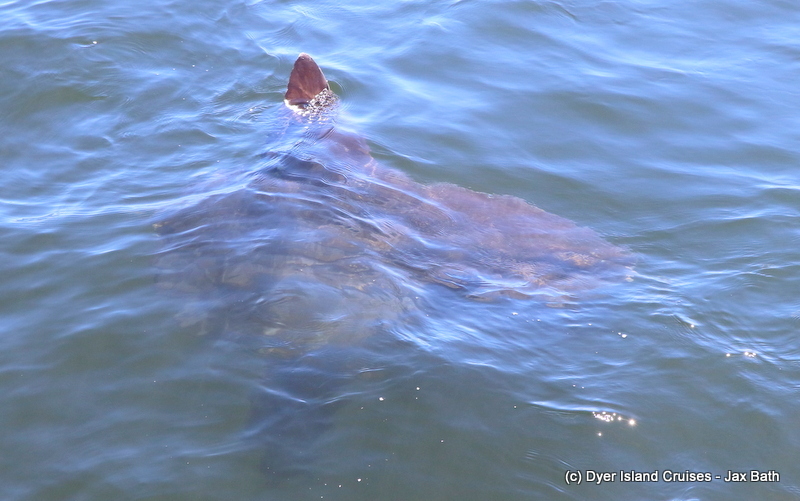 We got to see the shark very well, with the light hitting it’s dorsal fin as it moved towards Slashfin. We then decided to move over our reefs and into the waters of Pearly Beach to see what the area had in store for us. As it turns out, quiet a lot! 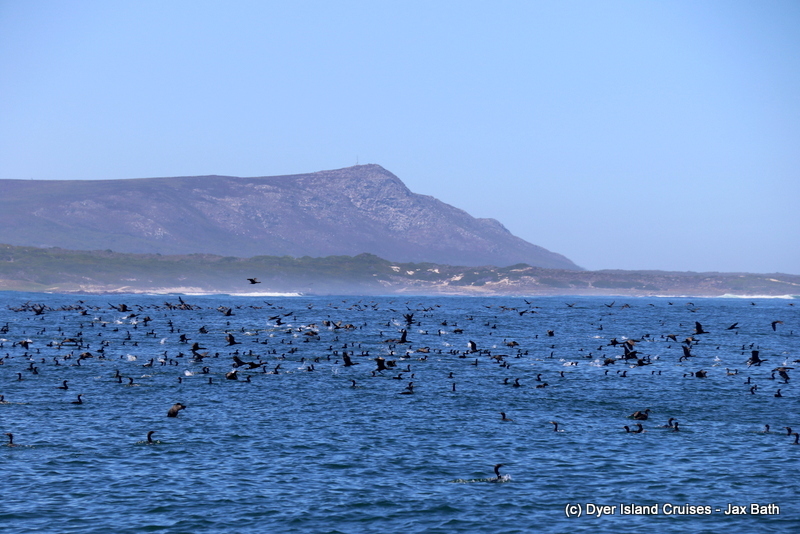 Our first sight was that of hundreds of Cape Cormorants heading out to feed, followed by a juvenile African Penguin sitting on the water. With Terns and Seagulls alike hanging about, we knew that there was some fish moving through, so we went a little deeper to see what else we could find. Passing Terns sitting on Kelp and checking out the red tide algal bloom, we spotted some Night Light Jelly Fish, what appeared to be swimming crabs and then, as luck would have it, an Ocean Sunfish. This was a massive Mola Mola, and he came right up to the boat to the delight of all aboard. We then began to make our way towards Geyser Rock, when someone spotted a blow. 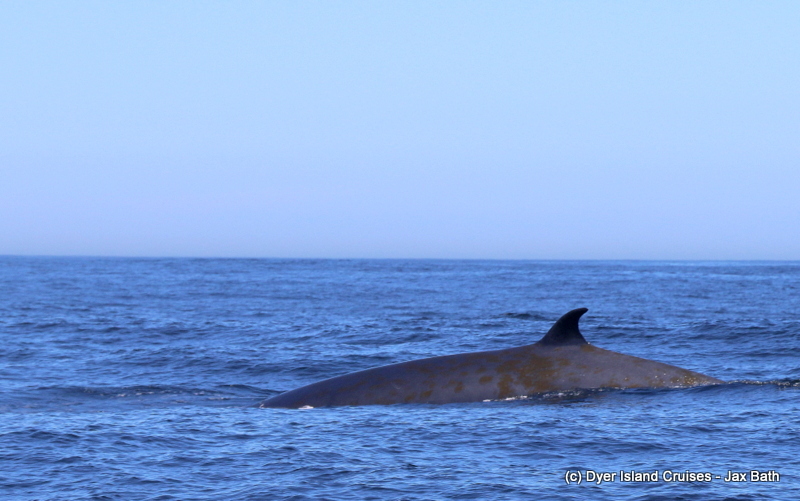 This caused everyone to erupt with excitement, and after some tracking and trailing and staring into the blue, we were rewarded with a fantastic sighting of a beautiful Brydes Whale. 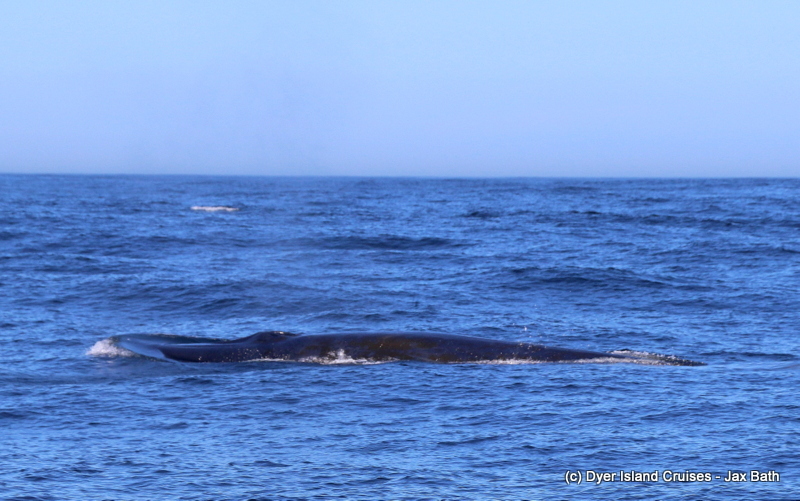 This whale travelled just below the surface for some time, allowing us to predict the exact time he might surface, and we managed to get some awesome pictures of our most elusive baleen beauty. We then spotted another little penguin before cruising through Shark Alley. 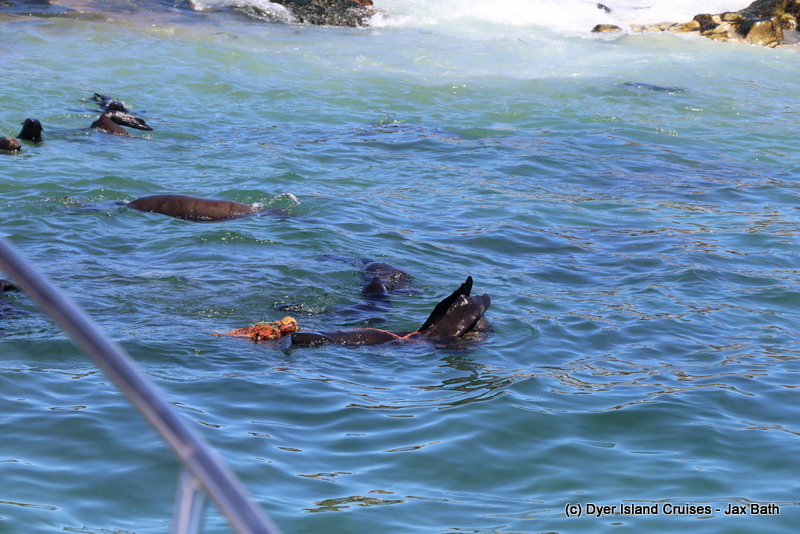 In the Alley itself, we witnessed a sad sight with a Cape Fur Seal being entangled in some rope. 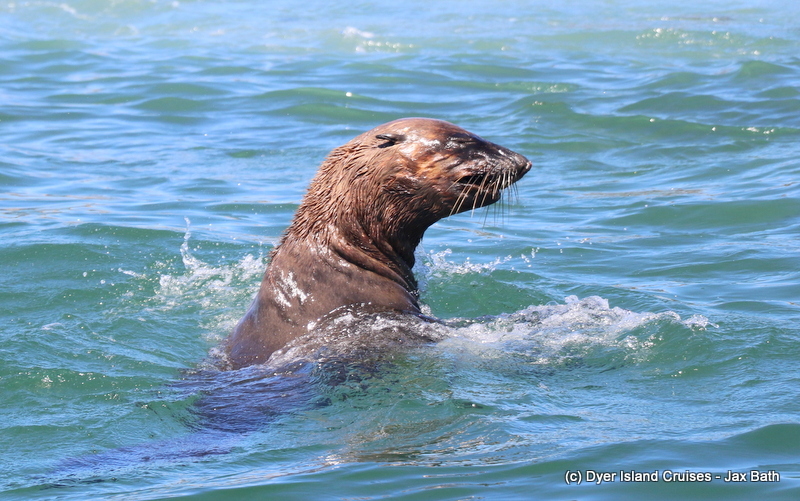 We tried our best to help this poor pinniped, but after a few tries, decided we might have better luck with one of our smaller vessels, with better flexibility. 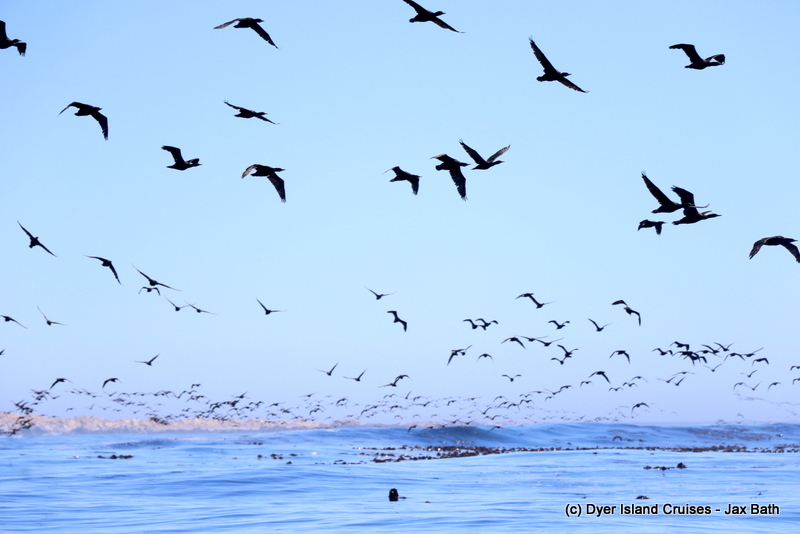 Our final stop on this tour was over at Dyer Island before making our way back for a lovely lunch. 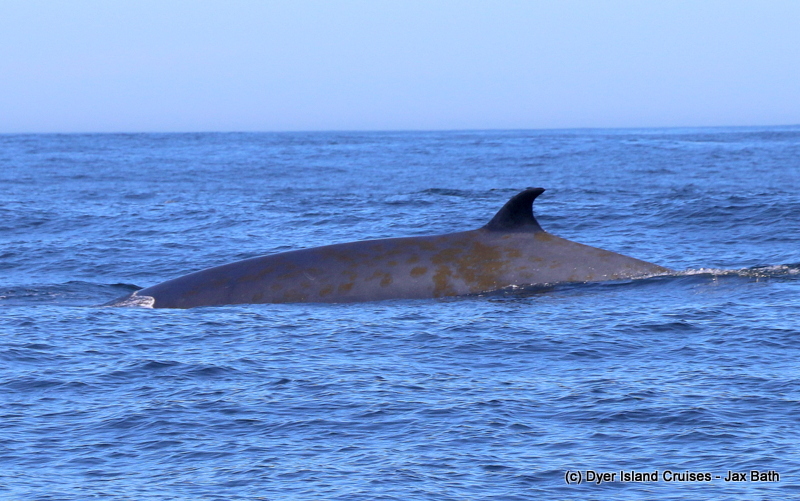 We were so elated to find this stunning cetacean. Although she’s entangled and the rope has started to cut into her fur, she seems to be in good spirits. 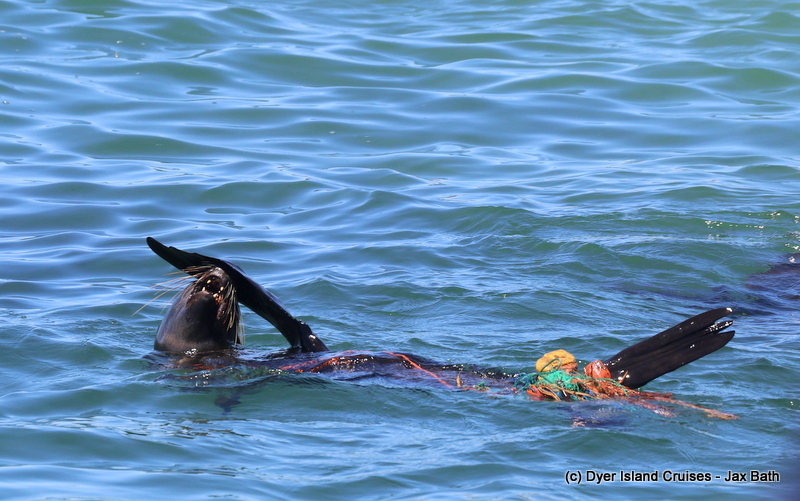 Another look at the ropes around this poor little seal. 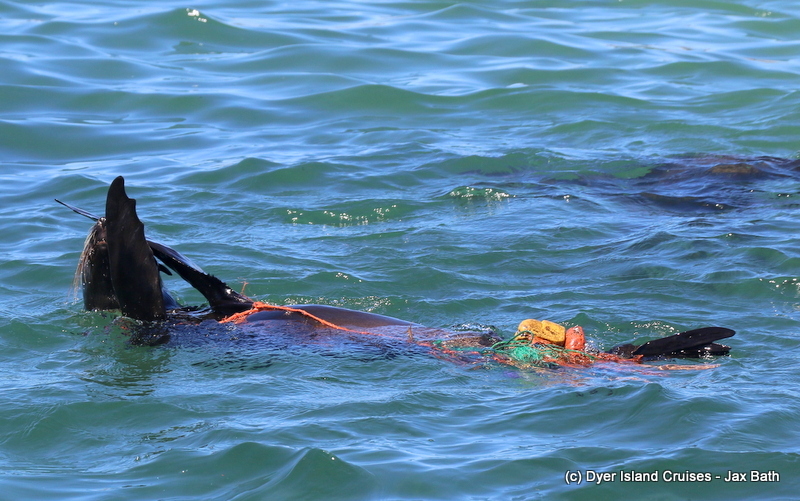 We tried our very best to reach her, but unfortunately she went just a bit shallow or us to catch her. A Cape Fur Seal pulling an awkward face. Cape Cormorants heading out fishing. 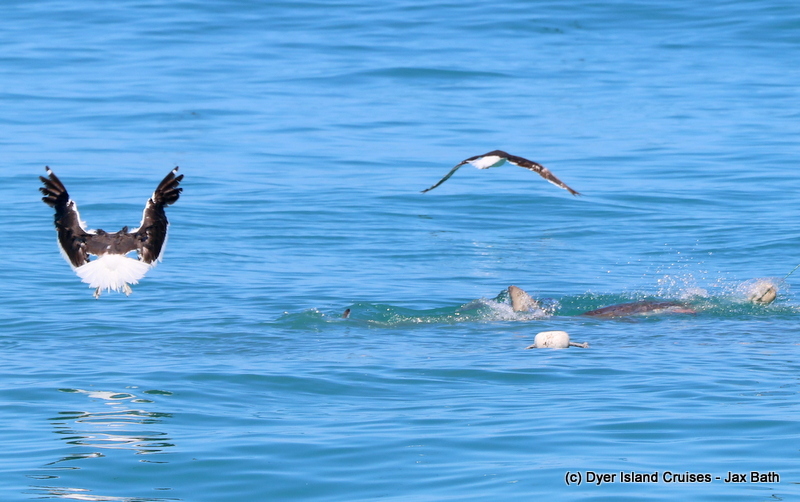 A Copper Shark tries its luck. We got quite lucky with our shark sightings today , with one popping up soon after we arrived. 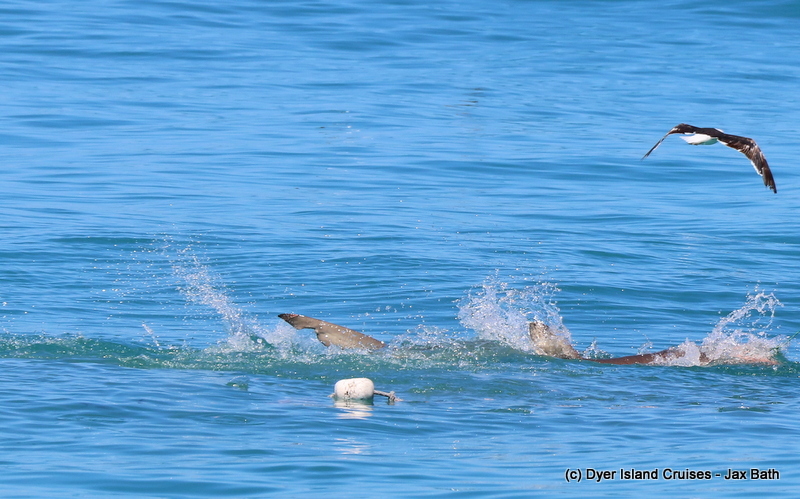 Cape Cormorants feeding close to Pearly Beach. A Large Sunfish taking advantage of the Night Light Jellyfish travelling through our bay. A swimming pizza with fins. 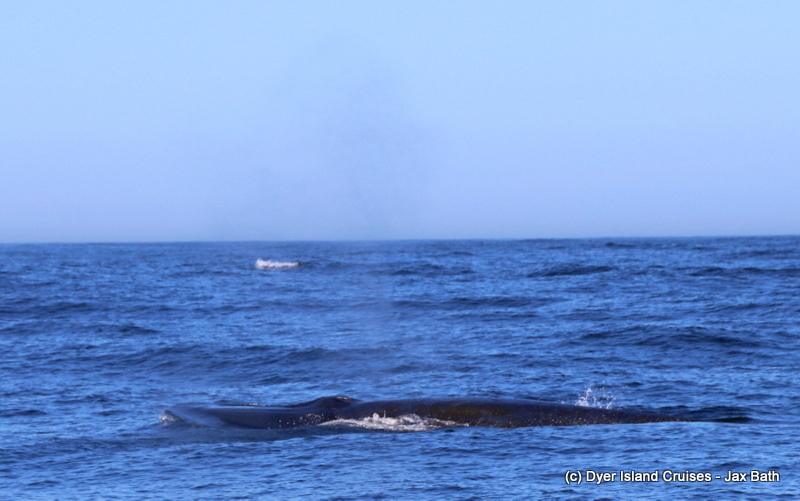 This whale was moving slowly along, giving us some great looks. Our spot of the day.